Bulimia Nervosa is an eating disorder that leads you to eating an unusual large amount of food in a repetitive matter. After you do this, there is a behavior done such as vomiting or fasting due to the fact that eating large amounts of food makes you purge secretly. Purging also involves taking laxatives or excessive exercising. 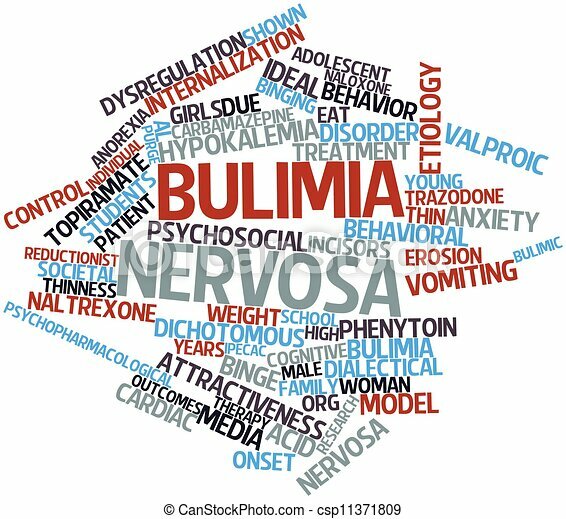 Individuals who have Bulimia Nervosa want to lose weight, or are often feeling fear towards gaining weight. They aren’t happy with their weight, because they have feelings of shame. They binge eat, and then purge, usually a few times a week. Usually this is coexisting with another psychological illness. Examples of this can be anxiety or depression. Bulimia can be caused by stress, dieting, or mixed emotions that can make you feel uncomfortable. Traumatic life events and genetics can also have a part in bulimia nervosa. We can help. We can make the difference. You are a strong individual and there is no reason to doubt it. We will work together, and we will get the best results. If you or someone you know appears to be suffering from Bulimia Nervosa, please contact our psychotherapy offices in New York or New Jersey to talk to one of our licensed professional psychologists, psychiatrists, psychiatric nurse practitioners, or psychotherapists at Arista Counseling & Psychotherapy. Contact our Paramus, NJ or Manhattan, NY offices respectively, at (201) 368-3700 or (212) 722-1920 to set up an appointment. For more information, please visit http://www.counselingpsychotherapynjny.com/. ← Sleep Difficulties? Here are 5 questions that will Help You Figure Out Why.